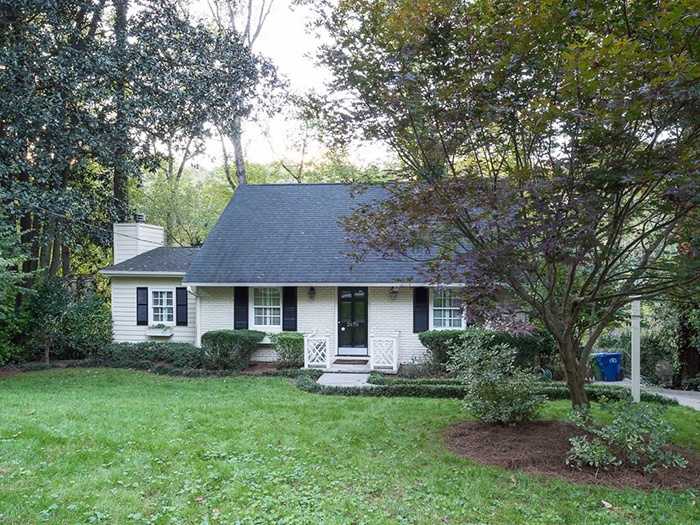 This renovation on a quiet Buckhead cul-de-sac has gorgeous finishes and comfortable, elegant spaces including a beautiful formal entry flanked by stunning living and dining rooms. It features a handsome family room that opens to an outstanding kitchen with marble surfaces, high end appliances, butlers pantry and a large laundry area with office space. The master suite on main has a sitting room and a luxurious new bath. 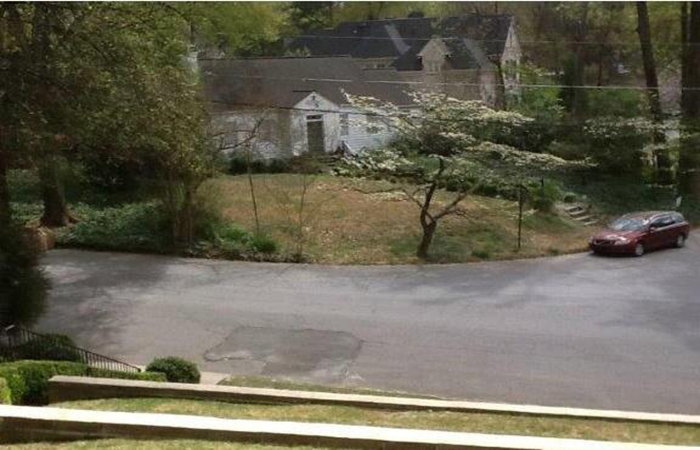 This a flat, beautiful buildable lot with access from the rear via a private drive with an existing two car garage. There is .3686 acre with 100' of street frontage. 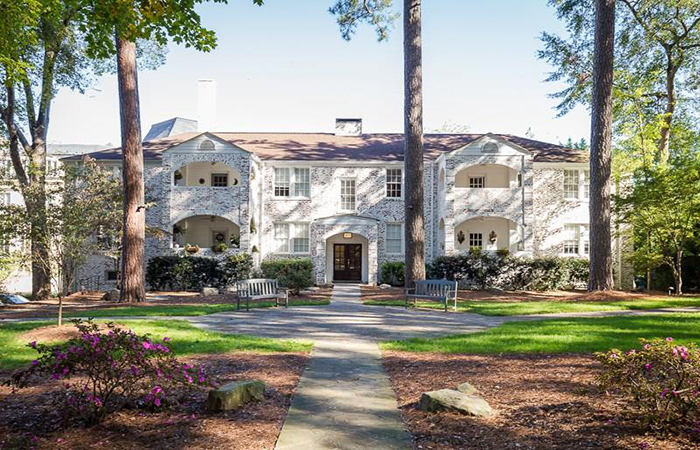 It is within walking distance of McClatchey Park and two blocks to the Ansley Golf Clubhouse and Piedmont Park. 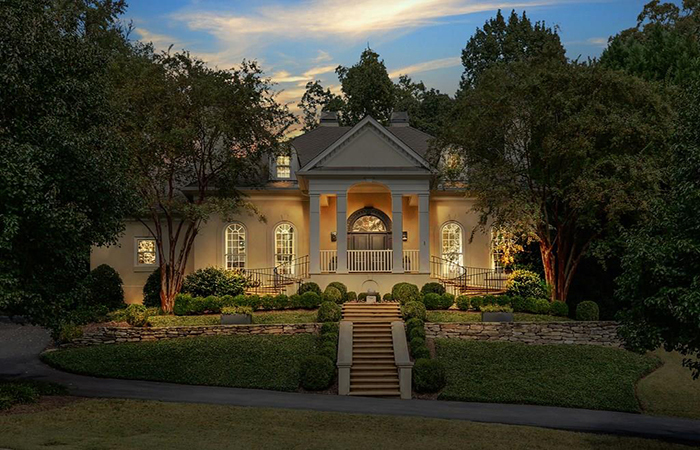 This exceptional riverfront estate on four-plus lush acres in Sandy Springs sits back from street with a gated drive lined with mature landscaping for total privacy. The home has 20-foot ceilings in foyer and grand living/dining room with french doors that open to large terrace. It features a huge master suite on main with a sitting room and a luxurious bathroom as well as large secondary en-suite bedrooms. This beautiful five-bedroom/four-and-a-half bath home in sought after Breakwater has a formal living room, den, updated eat-in kitchen with patio access, family room with access to the deck, a completely finished basement with sauna and additional bedroom. The huge master suite has a sitting room, his and hers closets, and an additional master suite that can be used as a bonus room with kitchen access. This flat corner lot is steps away from the Morris Brandon Primary Campus. All rooms have high vaulted ceilings except one bedroom. This home has a wonderful flow to it and there is an ability ability to open the kitchen directly to the family room by removing one wall. It has two enclosed and private porches, a large back deck, and lovely yard. This renovated three bedroom/three full bath home in the Morris Brandon Elementary School district is on quiet cul de sac street. It has hardwoods, a kitchen with granite and stainless appliances and an open floor plan with a dining room, living room and a vaulted family room with fireplace, built in bookcases and French doors to the deck. This quiet top floor unit has been completely renovated. 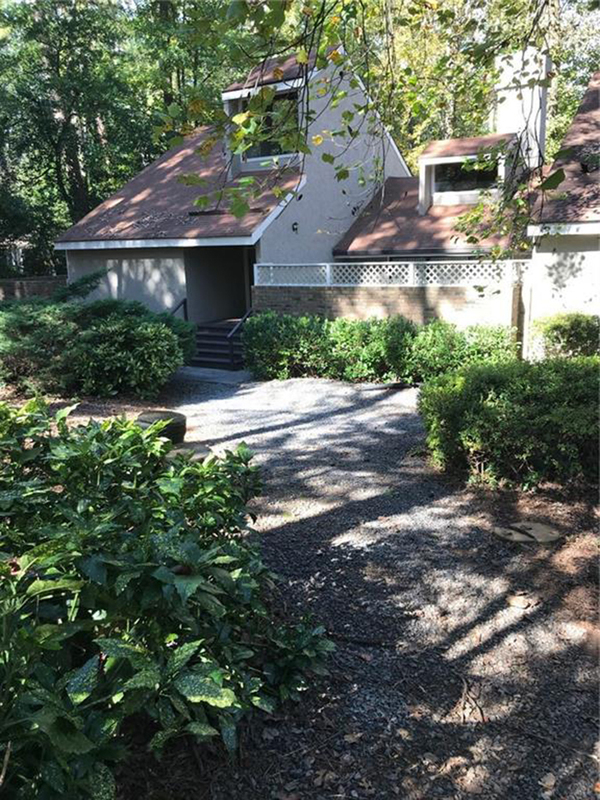 It is in heart of Buckhead near Peachtree Battle Shopping Center and Piedmont Hospital and features a chef's kitchen with high-end, stainless steele appliances. The layout of the home is open, airy and bright with high ceilings and a large, separate dining room with a view to kitchen and living room. 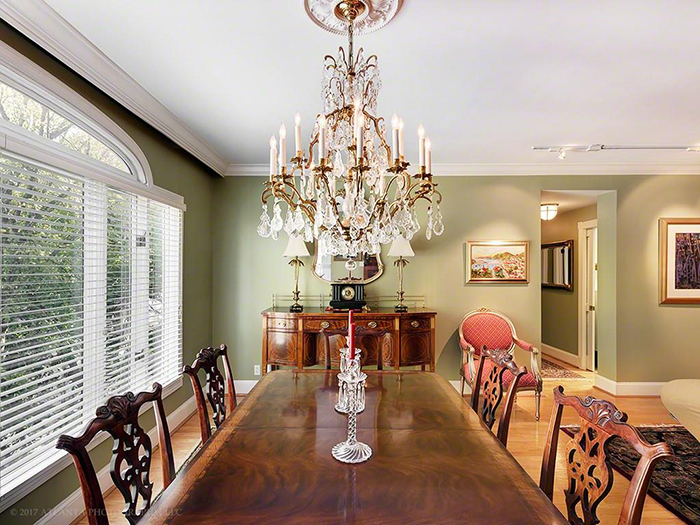 This is a highly upgraded home in Evian, an elegant building situated between North Buckhead and Historic Brookhaven. 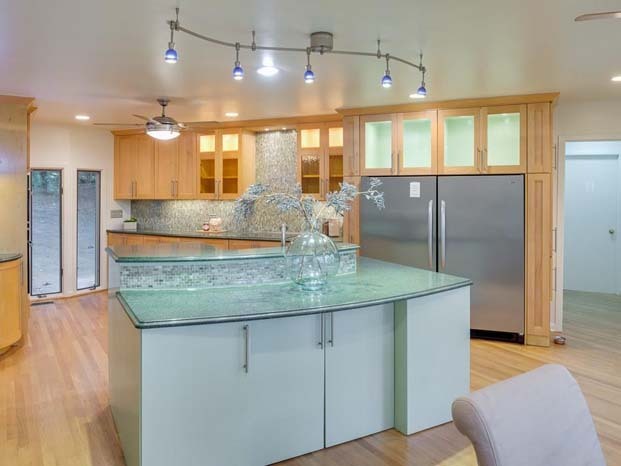 It has hardwood floors in living areas and a kitchen with upgraded cabinets, granite countertops, and stainless steel appliances including oversized SubZero refrigerator. The sunny breakfast room has a bay window and covered balcony access.